Tämä peli tukee Englanti, ranska, italia, saksa ja espanja. Lataa pelin ohjekirja etsimällä peli osoitteesta http://marketplace.xbox.com ja valitsemalla "Katso pelin ohjekirja". 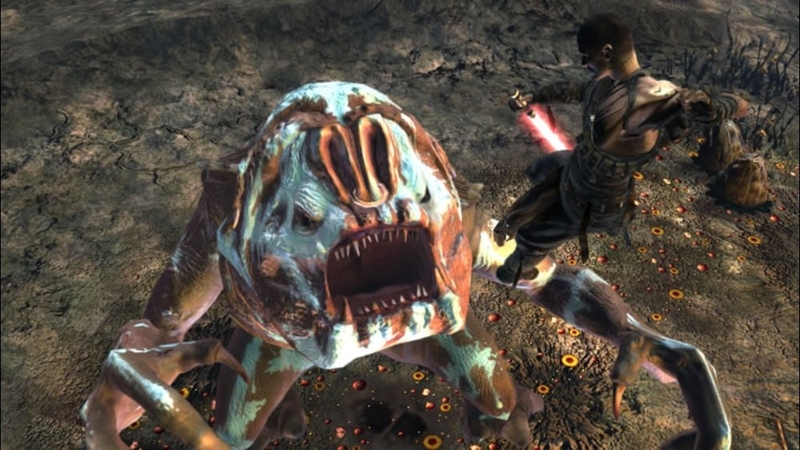 The Star Wars saga continues in Star Wars: The Force Unleashed! Take on the role of Darth Vader’s “Secret Apprentice” in a new chapter of the saga set during the largely unexplored era between Star Wars: Episode III Revenge of the Sith and Star Wars: Episode IV A New Hope. Unleash over-the-top Force powers and devastating attack combos on enemies with unique behaviors and reactions every single time you play. Metal bends like metal, wood splinters like wood, and glass shatters like glass as you unleash the Force like never before. Scour the galaxy and defeat Jedi Masters on familiar worlds, including Cloud City, and on strange new worlds, such as the junk planet Raxus Prime. Destroy all who stand in your way in your ultimate quest to do Darth Vader’s bidding. 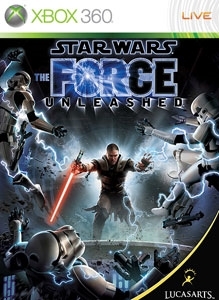 Star Wars: The Force Unleashed allows you to feel the power of the Force like never before in a brand new Star Wars story where your decisions could change the ultimate destiny of the galaxy. Tälle kohteelle ei ole hyvityksiä. Lisätietoja on osoitteessa www.xbox.com/live/accounts. This lightsaber uses a special ebony crystal found only in the deepest mines on the Sith homeworld of Korriban, infusing the blade with total and complete dark side energy. Tälle kohteelle ei ole hyvityksiä. Lisätietoja on osoitteessa www.xbox.com/live/accounts. Show off your Jedi Powers with this Force Unleashed t-shirt. Tälle kohteelle ei ole hyvityksiä. Lisätietoja on osoitteessa www.xbox.com/live/accounts. Small and incongruous on the decks of powerful Imperial war machines, mouse droids are ever-present annoyances buzzing back and forth between tasks. They are small, boxy wheeled droids that provide courier and minor maintenance duties. Tälle kohteelle ei ole hyvityksiä. Lisätietoja on osoitteessa www.xbox.com/live/accounts. A powerful, almost primal Force wielder, Darth Vader's secret apprentice has been trained by the Dark Lord of the Sith to hunt down the last remaining Jedi. Tälle kohteelle ei ole hyvityksiä. Lisätietoja on osoitteessa www.xbox.com/live/accounts. The search for Luke Skywalker leads the Apprentice ("Starkiller") to the Rebel's hidden base on the ice planet, Hoth. Under orders by the Emperor to eliminate Skywalker, Starkiller must infiltrate Echo Base and fight through Rebel forces, while also encountering deadly, ferocious wampas. The fate of the galaxy hangs in the balance! Tälle kohteelle ei ole hyvityksiä. Lisätietoja on osoitteessa www.xbox.com/live/accounts. Artoo-detoo and See-Threepio have crash-landed on Tatooine carrying important data that the Apprentice (“Starkiller”) must intercept. After fighting Jawas, Tusken Raiders, and Jabba the Hutt's minions, Starkiller must battle the famed bounty hunter Boba Fett before engaging in a final confrontation with one of the galaxy’s last remaining Jedi! Tälle kohteelle ei ole hyvityksiä. Lisätietoja on osoitteessa www.xbox.com/live/accounts. The Apprentice Mission Pack contains an entirely new single-player mission set in the Jedi Temple on the planet Coruscant. In this mission Darth Vader’s Secret Apprentice turns to the Jedi Temple to learn more about his father, and while searching through the rubble of the destroyed building he must confront his inner demons... Download this mission pack and you’ll also get 6 brand new characters and 3 all new Secret Apprentice costumes. Tälle kohteelle ei ole hyvityksiä. Lisätietoja on osoitteessa www.xbox.com/live/accounts. Now that you’ve unleashed the Force you can make the experience even more memorable by downloading the Star Wars®: The Force Unleashed™ Picture Pack 5! It contains Rebel Juno Eclipse, Ultimate Good Apprentice, Maris Brood, a Bull Rancor, and Jedi Master Shaak Ti. Download Star Wars: The Force Unleashed Picture Pack 5 today! Tälle kohteelle ei ole hyvityksiä. Lisätietoja on osoitteessa www.xbox.com/live/accounts. Download the Star Wars®: The Force Unleashed™ Character Pack 2! In this pack you get seven new characters including Republic Trooper, Tatooine Luke, Ben Kenobi, Jedi Master Plo Koon, Count Dooku, Jango Fett, and C-3P0. You’ll also get three new Secret Apprentice costumes including Utility Combat Suit Apprentice, Animated-style Apprentice, and Spirit Apprentice. Download Star Wars: The Force Unleashed Character Pack 2 today! Tälle kohteelle ei ole hyvityksiä. Lisätietoja on osoitteessa www.xbox.com/live/accounts. Now that you’ve unleashed the Force you can make the experience even more memorable by downloading the Star Wars®: The Force Unleashed™ Jedi Temple Theme pack! It contains the Landing Pad/Coruscant Vista, Great Hall, Museum, and Trial of the Mind Hall. Download The Force Unleashed Jedi Temple Theme Pack today! Tälle kohteelle ei ole hyvityksiä. Lisätietoja on osoitteessa www.xbox.com/live/accounts. Now that you’ve unleashed the Force you can make the experience even more memorable by downloading the Star Wars®: The Force Unleashed™ Girls of TFU Theme Pack! It contains Juno Eclipse, Maris Brood, Master Shaak Ti, and Princess Leia. Download the Girls of TFU Theme Pack today! Tälle kohteelle ei ole hyvityksiä. Lisätietoja on osoitteessa www.xbox.com/live/accounts. Now that you’ve unleashed the force you can download 7 brand new characters to the make the experience even more memorable! 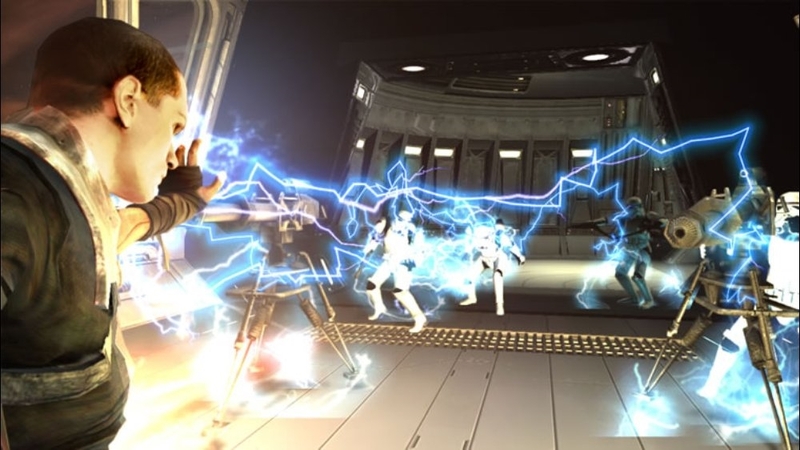 Play as characters such as Jedi Knight Anakin Skywalker, Jedi Knight Obi-Wan Kenobi, Jedi Knight Luke Skywalker, Imperial Commando, Darth Sion, Ki-Adi-Mundi and Kit Fisto. Also you’ll get 3 all new Secret Apprentice costumes including Hooded Combat Gear, General Starkiller and Sith Assassin. So what are you waiting for, download STAR WARS®: THE FORCE UNLEASHED™ character pack today Tälle kohteelle ei ole hyvityksiä. Lisätietoja on osoitteessa www.xbox.com/live/accounts. Now that you’ve unleashed the force you can make the experience even more memorable by downloading the Star Wars®: The Force Unleashed™ Picture Pack 4! In it contains R2-D2, C3-PO, Old Obi Wan, Princess Leia and Bail Organa. 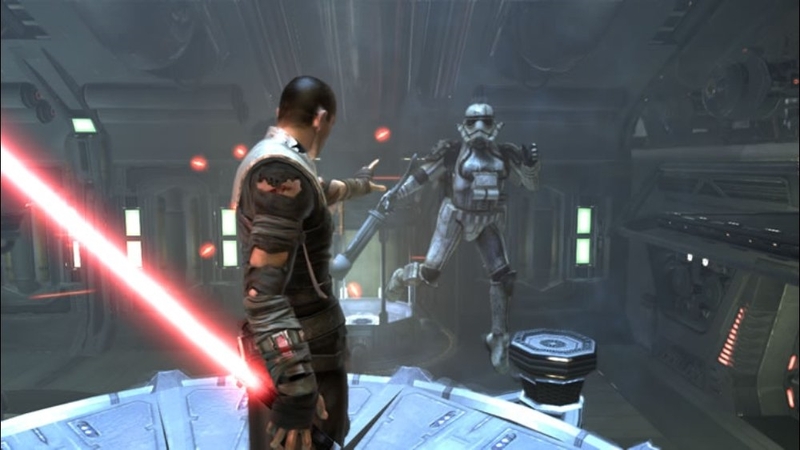 So what are you waiting for, download The Force Unleashed Picture Pack 4 today! Tälle kohteelle ei ole hyvityksiä. Lisätietoja on osoitteessa www.xbox.com/live/accounts. Now that you’ve unleashed the force you can make the experience even more memorable by downloading the Star Wars®: The Force Unleashed™ Picture Pack 3! 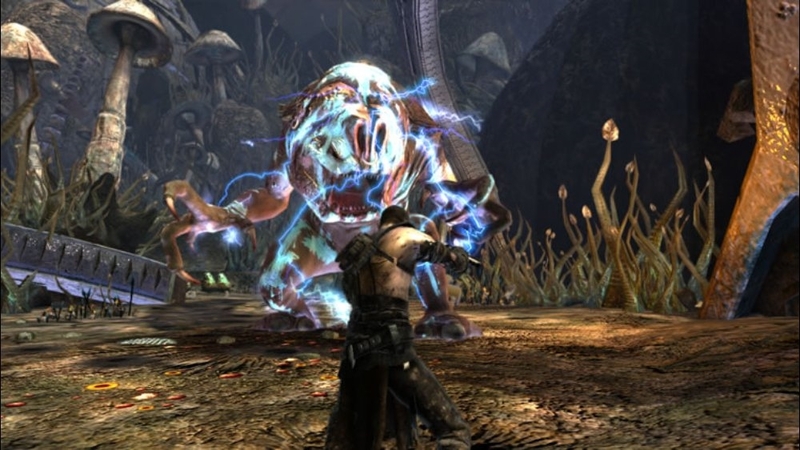 In it contains Emperor, an alternate Apprentice costume, Darth Maul, Shadow Guard and Dark Trooper. 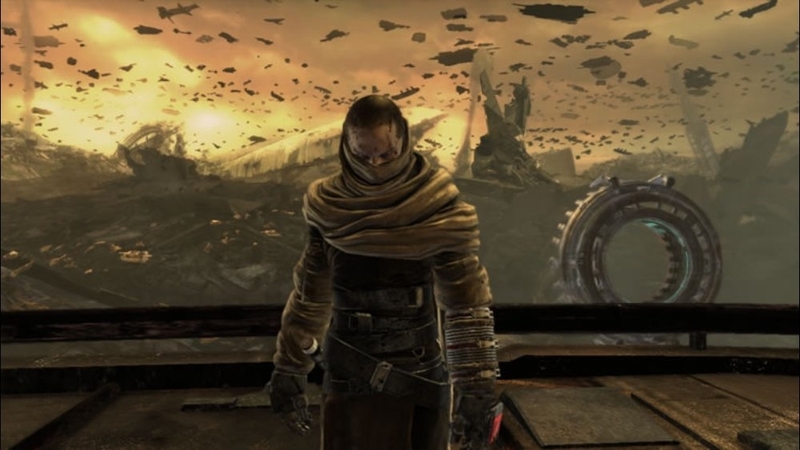 Download The Force Unleashed Picture Pack 3 today! Tälle kohteelle ei ole hyvityksiä. Lisätietoja on osoitteessa www.xbox.com/live/accounts. Show the community that you are powerful with the force with Darth Vader’s Secret Apprentice picture pack from Star Wars The Force Unleashed. No one is safe from Vader’s Apprentice and four other pictures including Proxy, the droid sidekick, the beautiful Imperial pilot, Juno Eclipse, an Imperial Stormtrooper, and the destructive AT-ST. Tälle kohteelle ei ole hyvityksiä. Lisätietoja on osoitteessa www.xbox.com/live/accounts. For the first time ever, you can be the Dark Lord of the Sith, Darth Vader, and his Secret Apprentice from Star Wars The Force Unleashed. Get five pictures in all including Darth Vader, the Secret Apprentice costume #2, the deadly Emperor’s Royal Guard, a fearsome Wookie warrior, and a lethal Scout Trooper. Tälle kohteelle ei ole hyvityksiä. Lisätietoja on osoitteessa www.xbox.com/live/accounts.